Nearly one in three state residents — 281,645 children, women and men — were served in 2016, according to the study by the Economic Progress Institute. 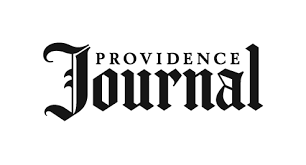 PROVIDENCE, R.I. — The $2.8 billion that the state spends annually on Medicaid is “an extremely worthwhile investment” for Rhode Islanders, the Economic Progress Institute concludes in a 24-page study released this week. Nearly one in three state residents — 281,645 children, women and men — were served in 2016, the latest year for which full data were available, according to the study. Most were served through managed-care plans: United Healthcare, Neighborhood Health Plan of RI and, since 2017, Tufts Health Plan. Beyond the investment in better primary and preventive health care, the study states, is the return from the federal government. The study breaks down Medicaid funding by demographic, health need, and city and town. With $637.2 million in Medicaid spending in 2017 on residents, Providence ranked first in the state; Pawtucket, at $229.6 million, was second; and Cranston, at $163.3 million, was third. Last was Block Island, with $1.2 million in Medicaid spending on residents in 2017. “Medicaid is the primary funder for long-term-care services that children and adults with significant disabilities and seniors need to live safely at home or to pay for care in a nursing facility or other facility when that level of care is needed,” the report states. “Medicaid supports children in state custody by providing health coverage while they are in care and encouraging adoption of children with special healthcare needs by providing on-going Medicaid coverage. Young adults who are exiting the foster care system receive Medicaid health insurance coverage until they turn 26 …. The report was made possible in part by support from the Annie E. Casey Foundation, the Carter Family Charitable Trust, the Rhode Island Foundation, the Stoneman Family Foundation and the United Way of Rhode Island.